A gorgeous and funky geometric design printed onto a wood grain effect background really makes this a stand out feature wall wallpaper! Printed in stunning dusky pink shades with metallic rose gold detailing this is gorgeous wallpaper is sure to be a perfect match for your home! From the hugely popular Apex collection by Fine Decor comes this gorgeous new arrival Wood Panel Geo! 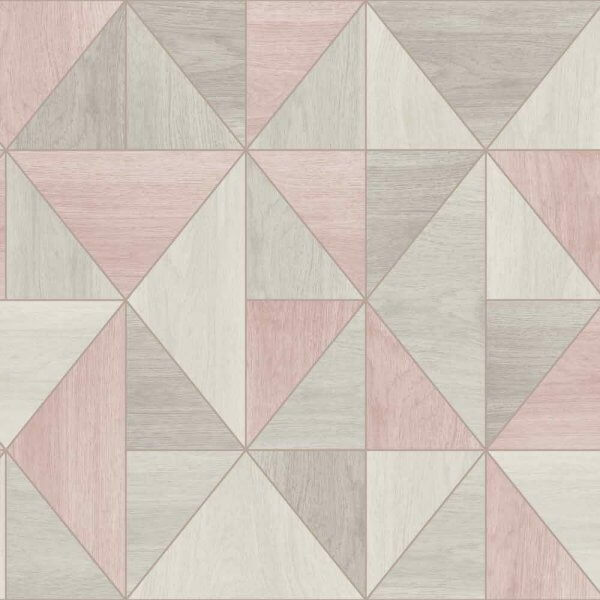 Available here in gorgeous dusky pink shades and rose gold metallic detailing this design is a sure way to make your feature wall pop! 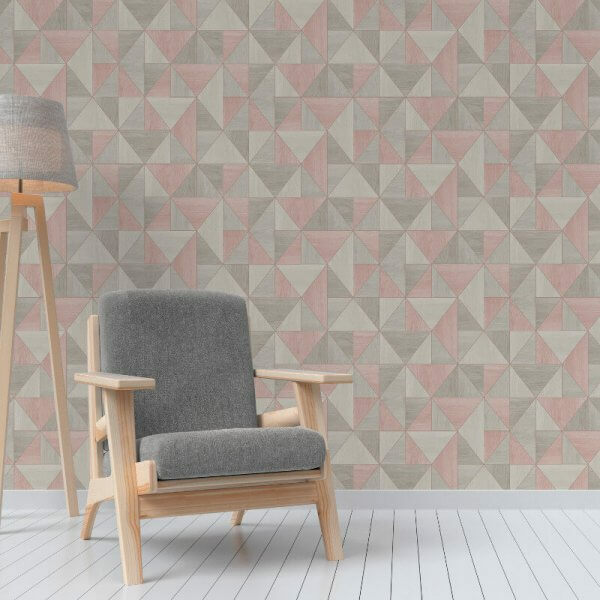 With a gorgeous wood grain texture to add depth to the geometric design, this washable wallpaper is sure to make a fabulous addition to your home! Perfect for use in a kitchen, living room girls bedroom or even a bathroom!